Our Firm | Fallgatter Catlin & Varon, P.A. The Jacksonville, Florida personal injury and criminal law firm of Fallgatter Catlin & Varon, P.A. represents plaintiffs and defendants in civil and criminal cases at the federal and state court levels. Our goal is to provide aggressive and effective representation successfully to resolve your legal matter and obtain the best outcome for your case. 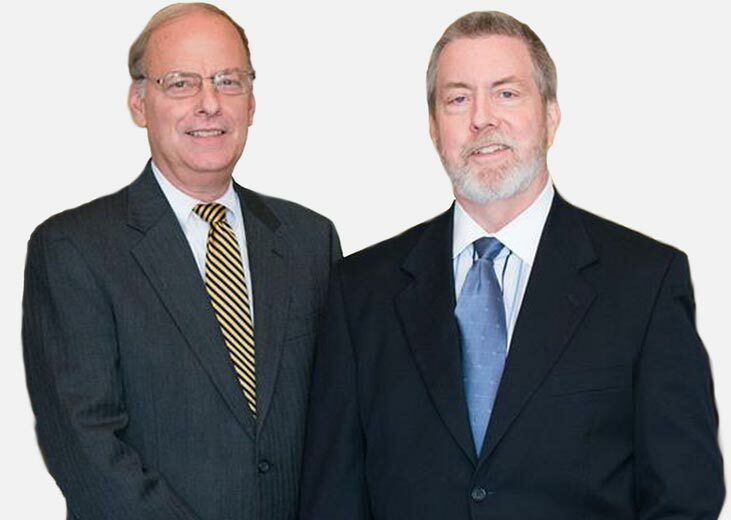 The partners of our firm bring more than 80 years of combined legal experience. We have patterned our practice, in both the caliber of legal talent and the quality of services offered, after that of a large, full-service practice. But then we also make sure we provide the personalized service characteristic of smaller firms. We are mindful of the high cost of legal services today and endeavor to provide the most cost-effective solutions to your problems through innovative pricing alternatives, such as fixed and contingent fees quoted in advance, and through technologically superior equipment and skills. Each of our lawyers brings a high level of expertise and a unique set of skills to our practice. With a total of more than 30 years of criminal and civil law experience, Curtis Fallgatter one of our partners served as a former federal prosecutor in Jacksonville, Florida, for 17 years and was the Chief Assistant, supervising 20 lawyers and personally handling some of the biggest cases in the office. He contributes extensive trial expertise gained through working on numerous high-profile criminal cases and his leadership capabilities were honed through his supervisory experience in criminal and civil cases in the U.S. Attorney's Office. For the past 14 years, he has been in private practice, defending the rights of clients in criminal cases. Recognized as one of the top criminal defense attorneys in the United States, he helps ensure our Jacksonville criminal law firm provides full protection of the rights of our clients throughout the entire legal process. In Need of Immediate Help? Call or click right now! Our firm has a strong footing in the Jacksonville community. As natives of Jacksonville, several partners at our firm practiced law in the Jacksonville community throughout their professional lives. One of our partners served as a U.S. Naval Officer at Naval Air Station Jacksonville. Our community ties provide the firm with access to a broad network of professionals and contribute to the high regard we have earned from judges, other lawyers and courts throughout the area. 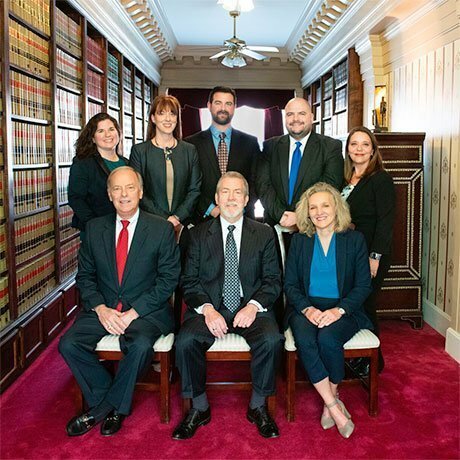 Lawyers at our firm have served in the role of President of various bar associations, including the Jacksonville Chapter of the Federal Bar Association, the Jacksonville Bar Association, and the Jacksonville Association of Defense Counsel. One of our partners served as President of the Museum of Science & History (MOSH). Fallgatter Catlin & Varon, P.A. is AV® Preeminent™ Peer Review Rated by Martindale-Hubbell® (the highest rating), and all our partners have been selected for the Bar Register of Pre-eminent Lawyers, the oldest and most respected legal directory in the nation. An AV rating demonstrates the attorney has reached the highest level of excellence, ethics and integrity, and has long legal experience. We are proud of our reputation for excellence, hard work and superior results. Jacksonville Magazine listed Curtis Fallgatter as one of the top criminal defense attorneys in Northeast Florida for the past two years. Our lawyers are proud of our reputation for excellence, hard work and superior results. To view more details about our individual lawyers, please see the Our Team page. We encourage you to consult with one of our lawyers regarding your legal concerns. Please contact us online, or call our law office at (904) 353-5800 to schedule an appointment. Mr. Fallgatter and his team are amazing. They made me feel like family instead of just another client. I will forever be grateful for the results they obtained for my son. This was possible because of their knowledge and experience and their amazing hearts! Great firm. I have restarted numerous white collar criminal cases to the firm. Curtis Fallgatter has done an exceptional job on each of them. I strongly recommend the firm. Outstanding law firm that is client oriented. Trial preparation is outstanding. Relatable, willing to listen, and not out to take your money! Don't know what I would have done if not for Mr. Fallgatter and Jeff. They are knowledgeable and compassionate, and most of all GET THE JOB DONE. Mr. Fallgatter, I can’t thank you enough for all of your help. I shudder to think what could have happened if I hadn’t sought out your assistance. I also realize that you really gave me a break with your fees and my situation was not the high caliber cases you normally deal with. Thank you again sir. I wanted to thank Lisa and Jeff very much for all you have done for me and my case. Words cannot express my gratitude and appreciation to you both, as well as the firm you represent. In the worst hours of my life to date, you helped me when I needed help the most. I am extremely blessed with the outcome of the case.